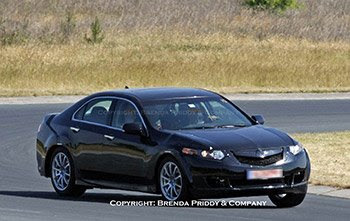 Supposedly, this chopped up TSX test mule is for the 2011 Acura RL. Rumors floating around suggest that the next RL will have a front engine, rear wheel drive layout with a V8 engine under the hood. 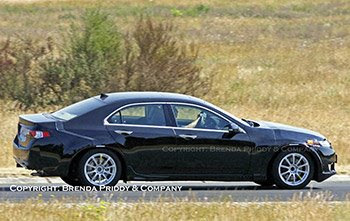 The following pictures are rumored to be the next generation NSX, or a sub-NSX coupe priced in the $50-60k range. 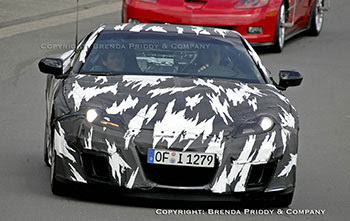 The pictures were snapped around the Nurburgring area in Germany. The next gen NSX is expected to have a new V10 engine with about 500hp and is front engined, with a modified version of SH-AWD that is rear-biased. This vehicle also looks like a 2+2 instead of the old style 2-seater. 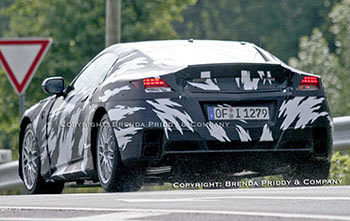 According to edmunds.com, "Takeo Fukui, CEO of Honda, has tasked his R&D team with building an NSX that's faster around the Nürburgring than both the Nissan GT-R and the upcoming Lexus LF-A." 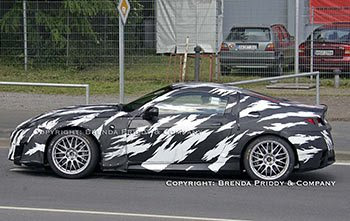 Tetsuo Iwamura, American Honda President and CEO, confirmed the NSX will be launched in the U.S. in 2010. Honda will also be launching the Acura brand in Japan and Europe around the same time, but the automaker says it will launch the NSX in the U.S. market first.